With a new product launch, our client needed to showcase health and wellness benefits in a can’t-miss sort of way at a grocery store buyers’ event. 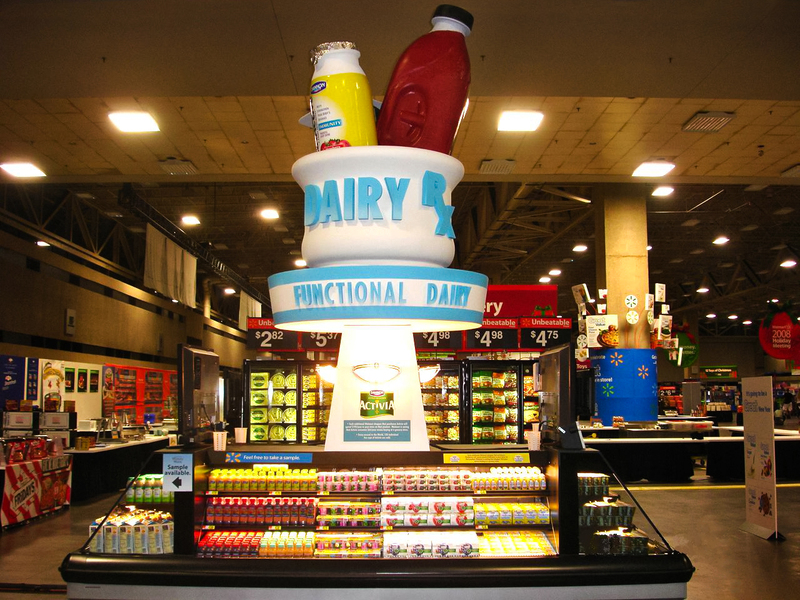 They engaged us to create an eye-catching display for a mock retail experience. Given the size of the display, and a requirement that it rotate, we sculpted from a lightweight foam and finished with a urethane hard coat. With a bit of uplighting, the effect was crowd-stopping. Our client approached us with rough sketches. They had an inkling of how they’d like the display to turn out, but weren’t quite sure what it should look like. We walked with our client partner the whole way — from initial design concepts to production all the way through to on-site installation.